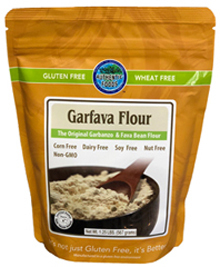 The Authentic Foods Garfava Flour is the original recipe for the flour made from garbanzo beans and fava beans. The beans are stone milled into flour and naturally processed with our proprietary machinery. This flour is a great replacement for wheat flour. It will make your baked goods taste better and be healthier for you. Beans, being high in protein and fiber, decrease sugar flow into the blood stream, which is beneficial to most diabetics. You’ll find dozens of delicious recipes using Garfava Flour in the following books: The Gluten-Free Gourmet Cooks Fast and Healthy and The Gluten-Free Gourmet Bakes Breads by Bette Hagman and Special Diet Solutions and Diet Celebrations by Carol Fenster. 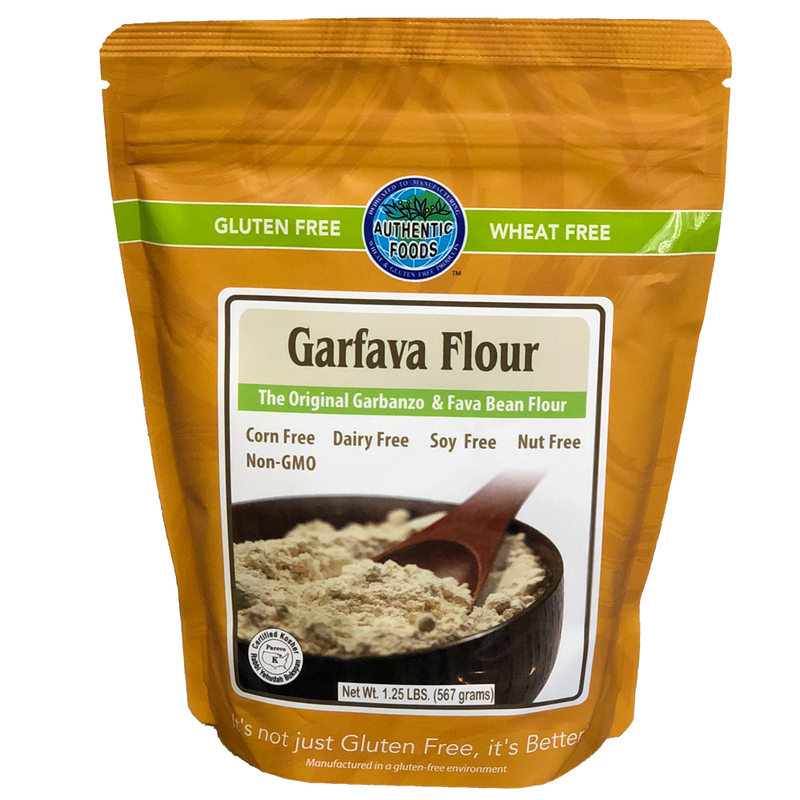 When using Garfava Flour or other gluten free flours, it is necessary to add small amounts of the Authentic Foods Xanthan Gum. This specialty gum improves the structure and texture of baked goods that contain no gluten. In a medium bowl, combine all dry ingredients: Authentic Foods Garfava Flour, baking soda, baking powder, Authentic Foods Maple Sugar, Authentic Foods Vanilla Powder, Authentic Foods Xanthan Gum, and salt. In another bowl, beat eggs, milk and oil. Add this mixture to the dry ingredient mixture and mix until smooth. Preheat griddle or skillet, that has been lightly coated with oil, to 350 degrees. Using a large tablespoon, drop batter to make 4 inch diameter pancakes. Cook first side until bubbles form and begin to pop. With your spatula, flip the pancake and cook until the second side is golden brown. Serve with syrup, preserves or fruit.